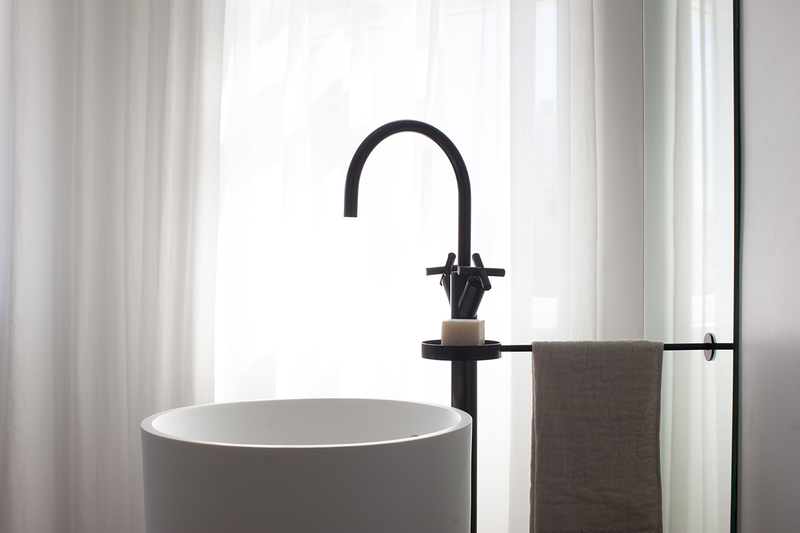 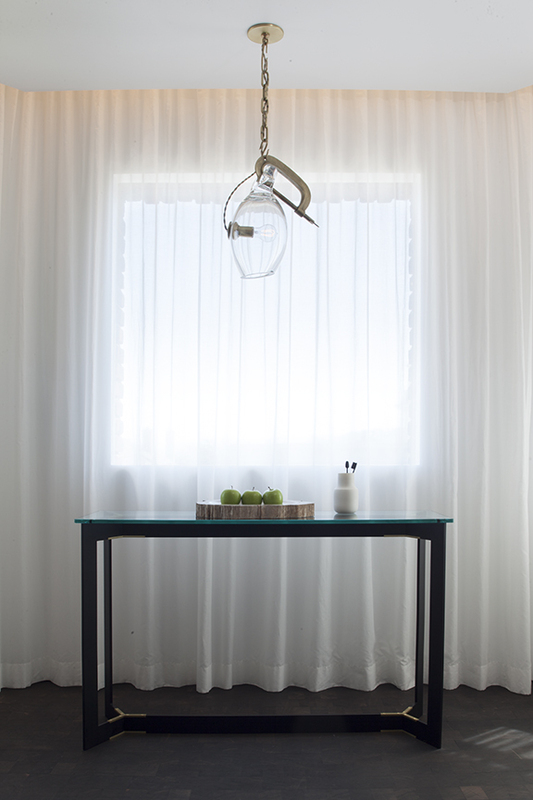 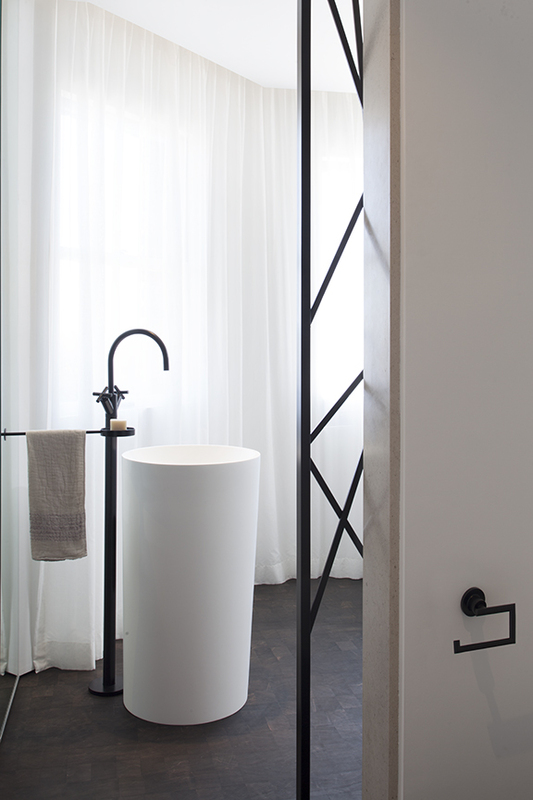 An experiment in shadow and light, the turn outward and inward, and the rituals of cleansing and bathing, the master bath at the Divisadero Street Residence not only facilitates daily needs, but also reflects the essentially human craving for greater health, balance, connection, and beauty in everyday life. 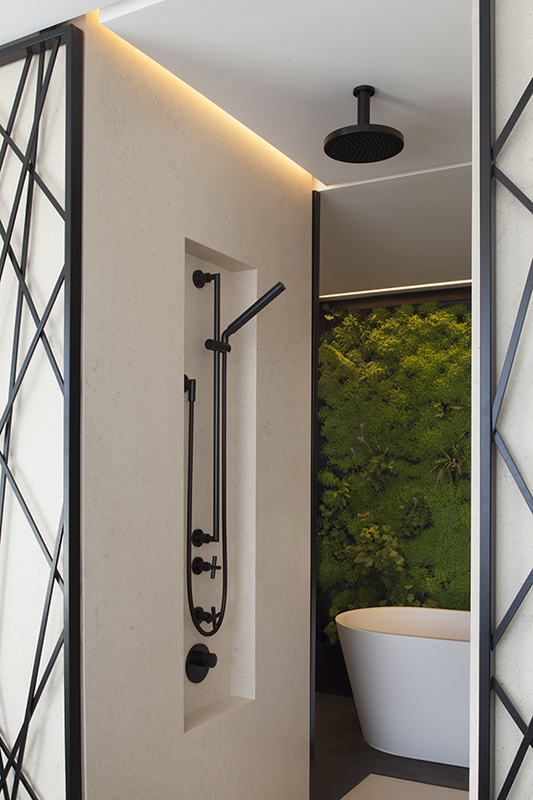 Spatial symmetry offers balance to the three zones, through which the daily ritual is activated. 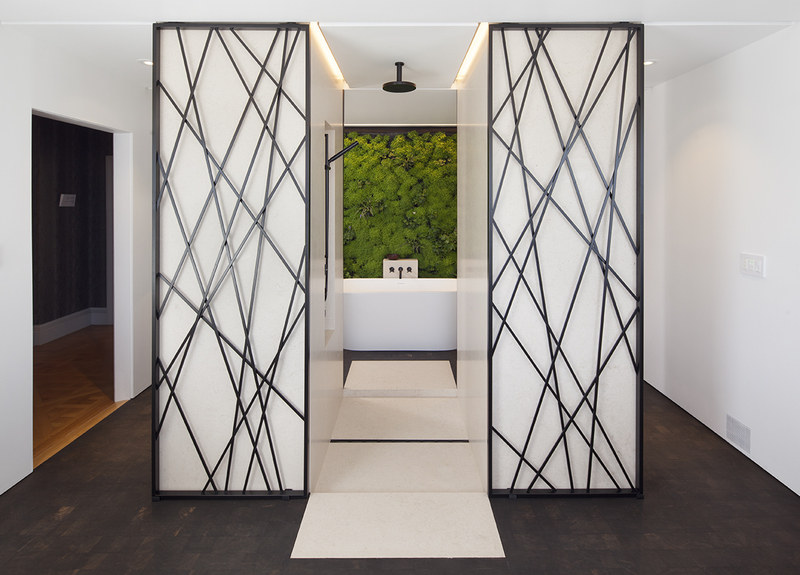 Capitalizing on the light of its southern exposure, the entry zone allows for an ease of interaction, holding a pair of sinks side-by-side. 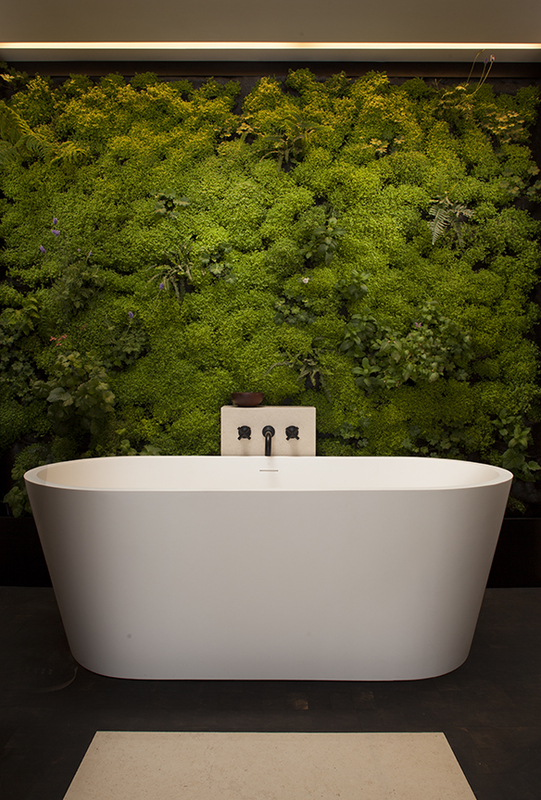 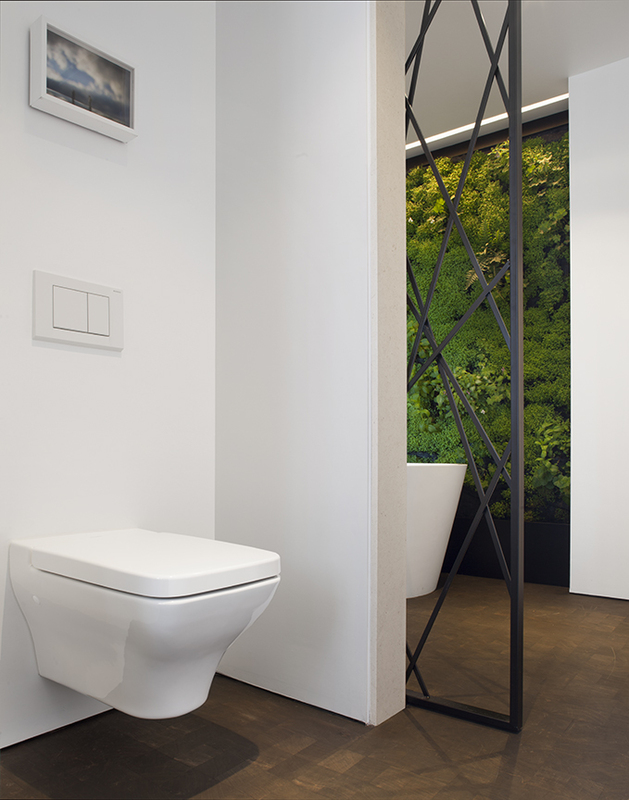 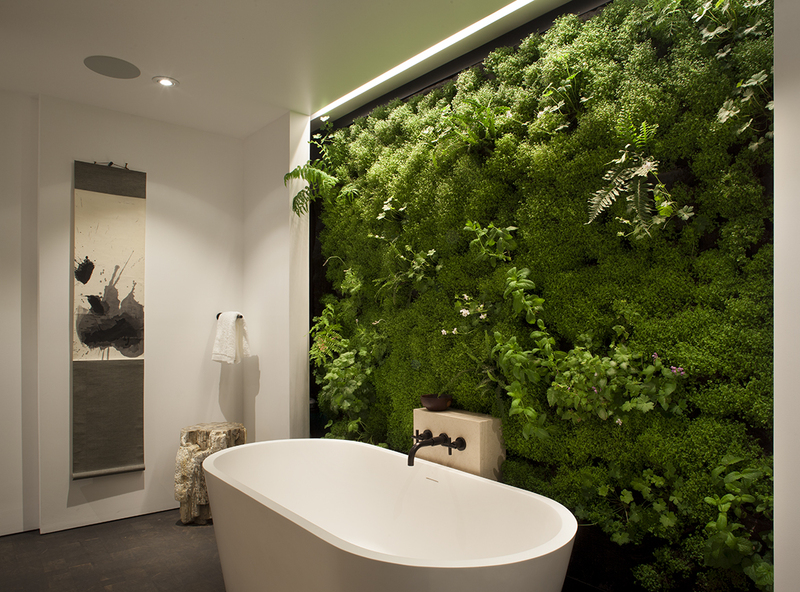 This openness is set against the rear section of the room, which is dedicated to the inward journey, featuring a freestanding tub set against the lush, enveloping texture of a living wall. 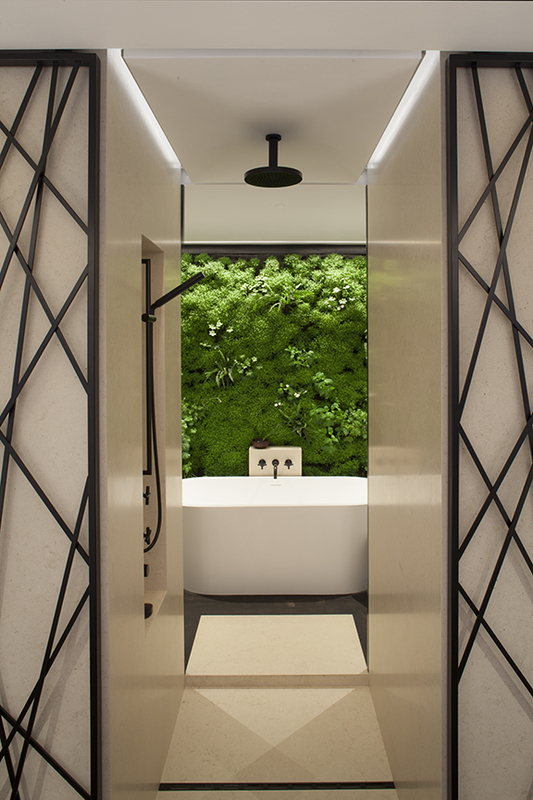 Marking the center of the room, bracketed by screens, the central shower drops down from the ceiling, the event taking on a ceremonial significance.